Greensboro, North Carolina – HRD Strategies, Inc., a leading provider of human capital advisory services and organizational development systems across the country, is celebrating 25 years of exceptional service. In 1990, Michael Lovett and Nina Lovett, SPHR, SHRM-SCP, set out to build a firm focused on delivering the very best human capital management solutions to customers. Today, HRD Strategies, Inc. has grown into a full-service firm serving private, public and nonprofit sectors and has reached over 250 clients and 5000 associates. HRD Strategies, Inc. delivers customized solutions ranging from executive training, coaching, talent management, organizational development, technical training and human resource management solutions. Over the past 25 years, HRD Strategies, Inc. has established itself as an industry leader and is repeatedly recognized as a leading organizational effectiveness firm. HRD Strategies is headquartered in Greensboro, North Carolina and consistently gives back to the community by supporting local nonprofits, disadvantaged youth and membership associations. “What differentiates us from others in our field is that we deliver talent acquisition services from start to finish. In addition to recruiting the very best hire for your job opening, we maintain the momentum by coaching and supporting the new hire throughout the entire onboarding process- ultimately ensuring your new employee is set up for success,” Lovett emphasizes. 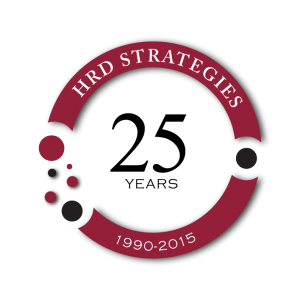 HRD Strategies has recently re-launched its website in celebration of the 25th anniversary. To provide additional support to small business and nonprofit communities, the new website is enhanced to provide a toolbox of best practices for executives. Additionally, the footer of the website includes a free sign-up for an electronic newsletter providing relevant, timely content delivered to your inbox. “We are pleased to offer a new website to easily share critical human resource management tips and tools to leaders in real time,” said Nina Lovett, President of HRD Strategies. HRD Strategies, Inc. delivers innovative, customized solutions ranging from executive training, coaching, talent management, organizational development and human resource management solutions. They partner with clients to develop and execute organizational strategies to best fit their needs – ultimately maximizing bottom-line business results. HRD Strategies has launched solutions across for-profit, nonprofit and public sectors. They are a full service partner providing solutions across all aspects of human capital management. 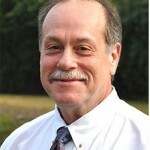 To learn more, visit www.hrdstrategies.com.